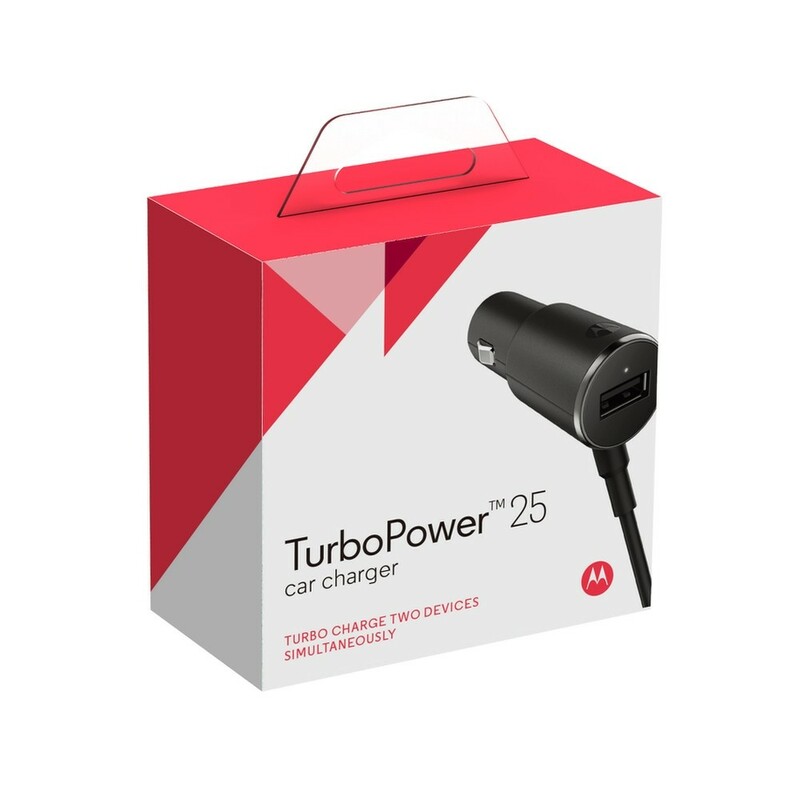 This car charger is a fast charger and provide up to 40W total of power (up to 25W from attached micro USB cable and up to 15W from the USB-A port). * It charges all compatible devices, and rapidly charges all Qualcomm QuickCharge 2.0 enabled devices. The micro USB plug allows you to connect to micro USB compatible devices. The USB-A port allows charging for compatible devices depending on the connector cable (USB-A to USB-C cable for USB-C devices or USB-A to micro USB cable for micro USB devices). Compatibility: Motorola Droid Turbo, Turbo 2, Ultra, Moto G4, Moto G4 Plus, Moto X, Moto X Play, Nexus 6 as well as compatible micro USB enabled smartphones, tablets, digital cameras, and other devices.